ELIZABETH CITY, NC – While many of us wait until the first day of the new year to get started on any resolutions we've been considering, that's not the case with Chrysler. The automaker is charging forward with a new initiative to make all of their vehicles Attractive, Complete and Affordable and first up is the reimagined 2015 Chrysler 200 Midsize Sedan which is looking better than ever! The 2015 model is the second generation for the 200 sedan which made its initial debut back in 2010, and let us just say it's come a long way. The global market for midsize family vehicles is a competitive one, so Chrysler executives were challenged with brainstorming a way to refresh their product to compete in that market. So the 2015 Chrysler 200 midsize sedan had to be reimagined! One look at the new sedan and you'll notice its handsome and quality workmanship which is complimented by an intuitive infotainment system. Drivers and passengers will enjoy tons of available options including the interior real wood and bronze-tone chrome accents, leather seats and communication system. Plus, the Safety Technology Package is ready to keep you safe with blind-side warning, full-speed forward-collision mitigation and lane-departure warning system. We could type all day and still not cover everything that the new 2015 Chrysler 200 has to offer! Th best thing about this vehicle though, is that it appeals to a wide range of budgets. 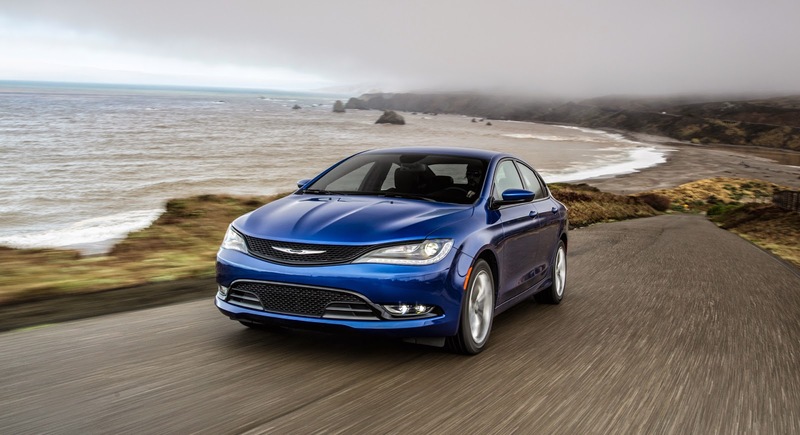 Whether you're shopping in the $20,000 range or are looking for more upgrades near the $35,000, the redesigned Chrysler 200 has what you're looking for in an attractive, complete, and affordable package! Come check out the new car for yourself and see what we mean! Perry Auto Group has two dealership locations to serve you better at 1005 W. Ehringhaus St, Elizabeth City, NC, 27909 or 1001 Halstead Blvd Elizabeth City, NC 27909. Stop in for any of your auto or community needs, or feel free to give us a call at (252) 338-9100.